Taylor Hatmaker – Latest Venture news. 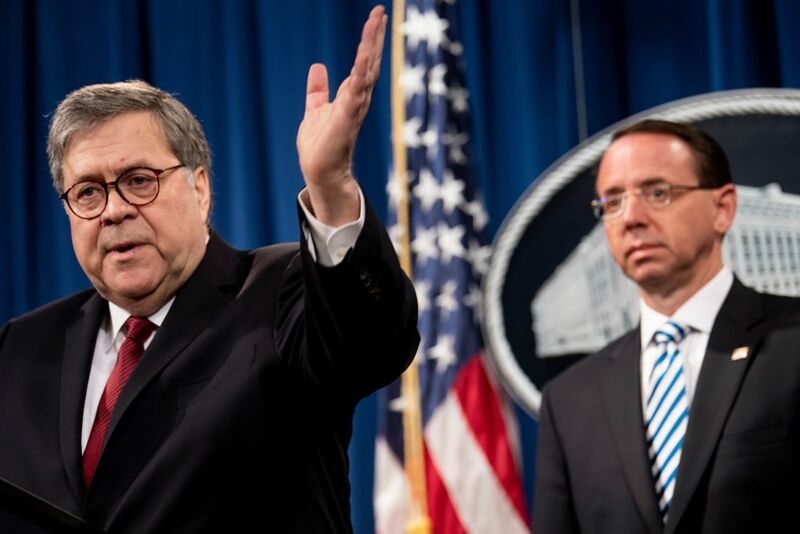 On Thursday, Attorney General William Barr released the long-anticipated Mueller report. With it comes a useful overview of how Russia leveraged U.S.-based social media platforms to achieve its political ends. Considering the success the shadowy group managed to achieve in infiltrating U.S. political discourse — and the degree to which those efforts have reshaped how we talk about the world’s biggest tech platforms — the events that led us here are worth revisiting. In Spring of 2014, the special counsel reports that the IRA started to “consolidate U.S. operations within a single general department” with the internal nickname the “translator.” The report indicates that this is the time the group began to “ramp up” its operations in the U.S. with its sights on the 2016 presidential election. At this time, the IRA was already running operations across various social media platforms, including Facebook, Twitter and YouTube. Later it would expand its operations to Instagram and Tumblr as well. As the report details, in the early stages of its U.S.-focused political operations, the IRA mostly impersonated U.S. citizens but into 2015 it shifted its strategy to create larger pages and groups that pretended to represent U.S.-based interests and causes, including “anti-immigration groups, Tea Party activists, Black Lives Matter [activists]” among others. The IRA offered internal guidance to its specialists to “use any opportunity to criticize Hillary [Clinton] and the rest (except Sanders and Trump – we support them” in early 2016. That message continued to ramp up on Facebook into late 2016, even as the group also continued its efforts in issued-based activist groups that, as we’ve learned, sometimes inspired or intersected with real life events. The IRA bought a total of 3,500 ads on Facebook for $100,000 — a little less than $30 per ad. Some of the most successful IRA groups had hundreds of thousands of followers. As we know, Facebook shut down many of these operations in August 2017. The IRA used Twitter as well, though its strategy there produced some notably different results. The group’s biggest wins came when it managed to successfully interact with many members of the Trump campaign, as was the case with @TEN_GOP which posed as the “Unofficial Twitter of Tennessee Republicans.” That account earned mentions from a number of people linked to the Trump campaign, including Donald Trump Jr., Brad Parscale and Kellyanne Conway. The IRA leveraged both Twitter and Facebook to organize real life events, including three events in New York in 2016 and a series of pro-Trump rallies across both Florida and Pennsylvania in the months leading up the election. The IRA activity includes one event in Miami that the then-candidate Trump’s campaign promoted on his Facebook page. While we’ve been following revelations around the IRA’s activity for years now, Mueller’s report offers a useful birds-eye overview of how the group’s operations wrought havoc on social networks, achieving mass influence at very little cost. The entire operation exemplified the greatest weaknesses of our social networks — weaknesses that up until companies like Facebook and Twitter began to reckon with their role in facilitating Russian election interference, were widely regarded as their greatest strengths. A Justice Department official told the Associated Press that a CD containing the Mueller report would be delivered to Congress tomorrow between 11 and noon Eastern. At some point after the CDs are delivered, the report is expected to be made available to the public on the special counsel’s website.
.@PaulaReidCBS reports the Mueller report will be delivered to the Hill on CDs tomorrow. House Judiciary Committee staff was prepared for this possibility — among many — and checked they still have a computer with a working CD-ROM drive (they do). Any Congressional offices running Macs will likely have to huddle up with colleagues who still have a CD-capable drive. Optical drives disappeared from Apple computers years ago. With people increasingly reliant on cloud storage over physical storage, they’re no longer as popular on Windows machines either. Tomorrow’s version of the report is expected to come with a fair amount of detail redacted throughout, though a portion of Congress may receive a more complete version at a later date. The report’s release on Thursday will be preceded by a press conference hosted by Attorney General William Barr and Deputy Attorney General Rod Rosenstein. If you ask us, there’s little reason to tune into that event rather than waiting for substantive reporting on the actual contents of the report once it’s out in the wild. Better yet, hunker down and read some of the 400 pages yourself while you wait for thoughtful analyses to materialize. Remember: No matter what sound bites start flying tomorrow morning, digesting a dense document like this takes time. Don’t trust anyone who claims to have synthesized the whole thing right off the bat. After all, America has waited this long for the Mueller report to materialize — letting the dust settle won’t do any harm. Democratic lawmakers have proposed a bill to address the algorithmic biases lurking under the surface of tech’s biggest platforms. The bill, known as the Algorithmic Accountability Act, was introduced by Senators Ron Wyden (D-OR), Cory Booker (D-NJ) and Representative Yvette Clarke (D-NY) will sponsor parallel legislation in the House. The bill is well timed. Over the last month alone, Facebook found itself settling over discriminatory practices that affected job ads as well as drawing civil charges from the Department of Housing and Urban Development over similar issues with its housing ad targeting tools. The present bill targets companies that make more than $50 million a year, though any company holding data on more than one million users would be subject to its requirements. Like yesterday’s proposed Senate bill addressing dark pattern design, the Algorithmic Accountability Act (PDF) routes its regulatory specifics through the Federal Trade Commission. Under the bill, the FTC could require companies to perform “impact assessments” on their own algorithmic decision-making systems. Those assessment would assess potential consequences for “accuracy, fairness, bias, discrimination, privacy and security” within automated systems and companies would be required to correct any issues they uncovered during the process. “This bill requires companies to regularly evaluate their tools for accuracy, fairness, bias, and discrimination,” Booker said. Bias on tech’s major platforms is a hot topic right now, though the political parties are approaching the issue from very different vantage points. Just today, the Senate Judiciary Subcommittee on the Constitution held a hearing chaired by Senator Ted Cruz, who led Republicans in repeating recent unsubstantiated allegations that Facebook and Twitter disproportionately punish users on the right. Democrats for their part have been more interested in the off-platform implications of algorithmic bias. “By requiring large companies to not turn a blind eye towards unintended impacts of their automated systems, the Algorithmic Accountability Act ensures 21st Century technologies are tools of empowerment, rather than marginalization, while also bolstering the security and privacy of all consumers,” Rep. Clarke said. As the hearing’s livestream aired on the House Judiciary’s YouTube channel, comments in the live chat accompanying the stream were so inflammatory that YouTube actually disabled the chat feature mid-hearing. Many of those comments were anti-semitic in nature. The hearing was probably ill-fated from the start. As Democrats attempt to grapple with the real world effects of white supremacist violence, voices on the far right — recently amplified by figures in Congress — denounce that conversation outright. When political parties can’t even agree on a hearing’s topic, it usually guarantees a performative rather than productive few hours and in spite of some of its serious witnesses, this hearing was no exception. Hours after the hearing, anti-semitic comments continue to pour into the House Judiciary YouTube page, many focused on Rep. Jerry Nadler, the committee’s chair. “White nationalism isn’t a crime its [sic] a human right,” one user declared. “(((They))) are taking over our government,” another wrote, alluding to widespread anti-semitic conspiracy theories. Many more defended white nationalism as a form of pride rather than a hate-based belief system tied to real world violence.